Ranked as one of the top 20 US Film Casting Directors by Ross Reports, Judy Henderson has made a name for herself in New York casting! Since creating Judy Henderson & Associates in 1984, Judy has cast over 100 titles, earning her 3 Artios Awards and the 2012 Emmy Award for Outstanding Casting! She is casting the FINAL season for Showtime's Homeland and the BRAND NEW Crime series City on a Hill. This office also casts for theatre company The New Group and they're currently working on the 2019-2020 season! Please note: This class skips the week of February 18 and the emergency hold date is scheduled for March 11th. WEEK TWO: We take the scene from Week One and block the Film. WEEK THREE: Perform the blocked sides with partner for one-camera setup. Receive generous adjustments, and key notes regarding style, tone, quality and more. Judy Henderson has been honored as one of the top 20 US Film Casting Directors. Highlights include: Emmy Award for Outstanding Casting in a Drama Series, four Artios Awards for Outstanding Achievement TV Series and Theatre Drama Casting, nine Artios nominations for TV Series and Theatre Drama Casting. Select Film credits: BEFORE MIDNIGHT, PARANORMAL 2, 12 AND HOLDING, L.I.E. (six Independent Spirit Award Nominations), and BEFORE SUNRISE. 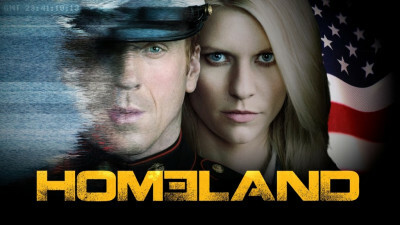 Select TV credits: HOMELAND (Emmy Award and two Artios Awards). Broadway: BAREFOOT IN THE PARK and ANNA KARENINA (four Tony Nominations). Off-Broadway: INVASION (Obie Award), LIE OF THE MIND (Artios Award), THE KID (five Drama Desk Nominations), and HURLYBURLY (Artios Award). Member of CSA and Local 817 of the Teamsters Theatrical Union.